On Friday I assisted students from South Cheshire College. 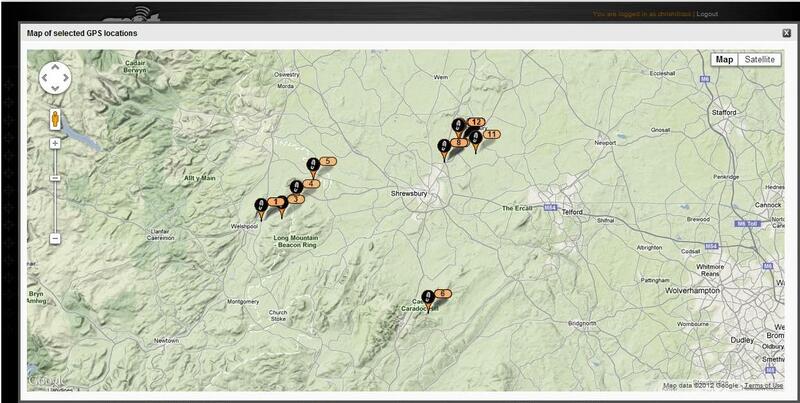 The students had designed simple camera payloads to launch and track using Smart tracker enhanced gps tracker. 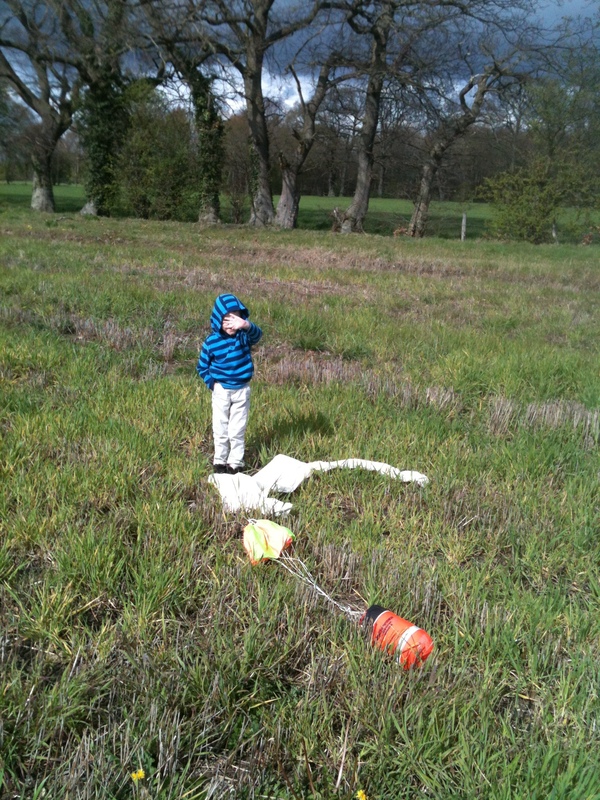 I assisted the launch by inflating one of the 1200g balloons and loaning a SPOT tracker. On the day surface winds were light but it poured with rain. I got soaked and chilled to the bone fillign the balloon. Flight 2 of the day took my Spot tracker. 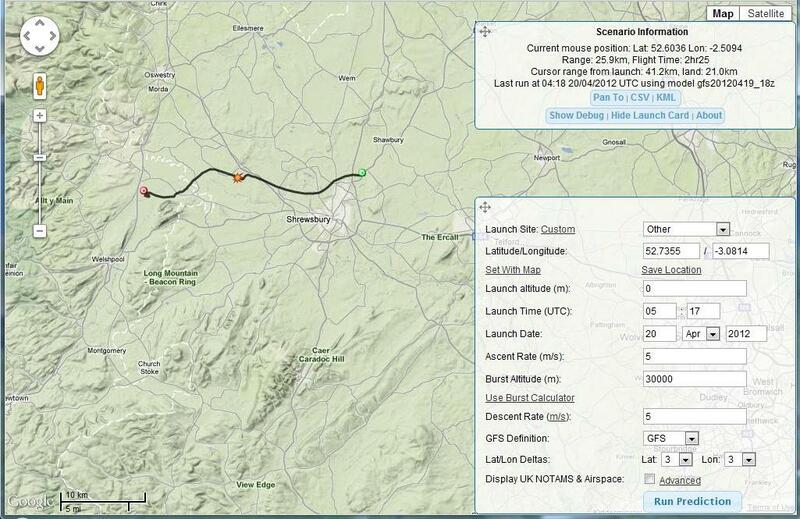 The tracker performed well though produced 2 rough data points. Spot Tracking. Are there two rough data points or did something very strange happen on assent? Thankfully the rain abated during chase and recovery. 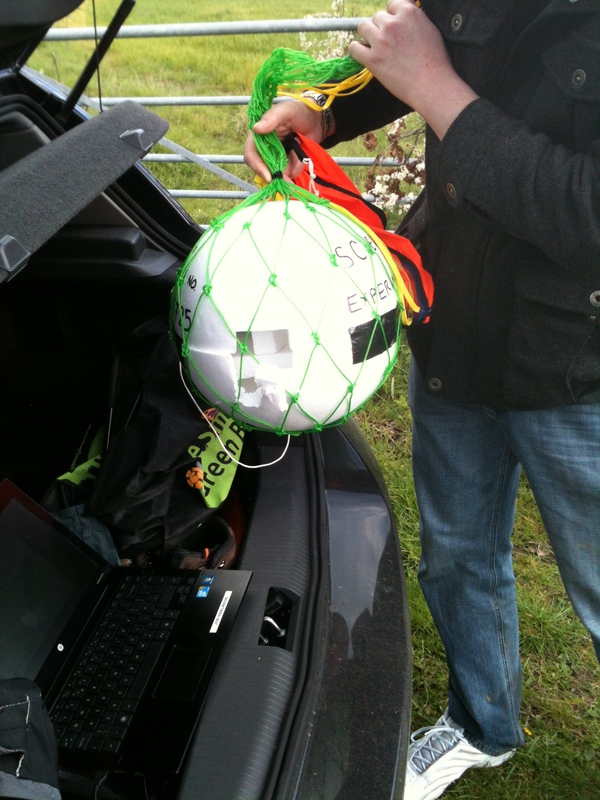 The first payload was a polystyrene ball. This broke on landing.